It’s not easy to carve out a share of the high-end smartphone market. Relatively few people in the U.S. look beyond the enticing wares of Samsung and Apple, but that’s a shame because they’re missing out on excellent smartphones like the HTC U11, the LG V30, and the Huawei Mate 10 and Mate 10 Pro. Only Samsung sells more smartphones worldwide than Huawei, and the Mate series is the cream of the Chinese manufacturer’s crop. We were impressed by last year’s Mate 9 and the Mate 8 before it, but availability stateside was limited. 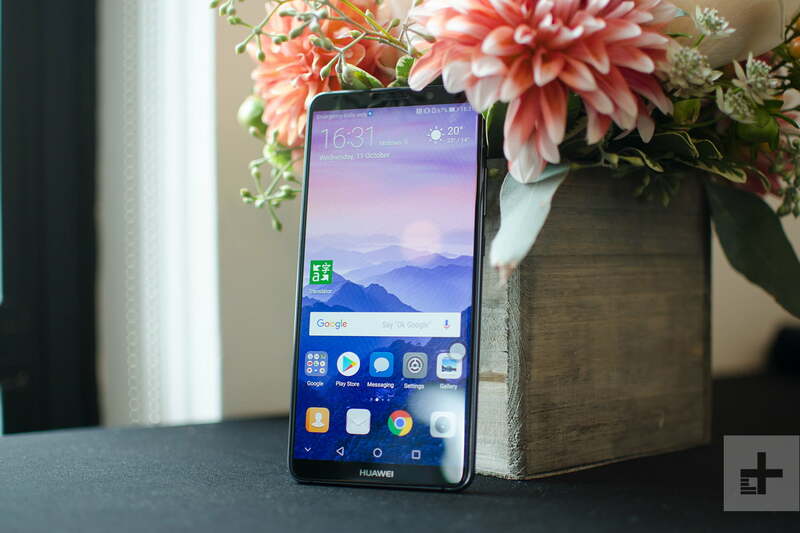 This year Huawei is offering the Mate 10 and the Mate 10 Pro, and the latter is coming to the U.S. We decided to compare the two to find out what the differences are. There are surprisingly few differences to be found here in terms of hardware. If you dig through the shiny glass and metal to expose the guts of Huawei’s flagship phones, you’ll find the beating heart of both is Huawei’s all-new Kirin 970 processor. Not only does this processor offer a 20 percent speed boost over its predecessor, the Kirin 960, it also packs a Neural Processing Unit (NPU). The NPU is designed to enable cloud-based artificial intelligence (AI) and on-device AI to run in concert, faster than ever before. Your Mate 10 or Mate 10 Pro should make smart suggestions and run more efficiently as a result. But performance will be identical on the two phones. While both the Mate 10 and Mate 10 Pro are being offered with 4GB of RAM and 64GB of storage, the Mate 10 Pro also comes in a 6GB of RAM and 128GB of storage option. The Mate 10 also has a MicroSD card slot for expansion, while the Mate 10 Pro does not. How much RAM your smartphone needs is debatable, but you might see slightly more competent multitasking, enabling you to switch between more apps and games, if you opt for the 6GB version and that’s enough to win the round for the Mate 10 Pro. Both the Huawei Mate 10 and the Mate 10 Pro sport metal frames sandwiched by glass. The back has a reflective stripe that houses the dual cameras, but on the Mate 10 Pro there’s a fingerprint sensor in the middle of the back, below the camera. The Mate 10 opts for a more traditional fingerprint sensor lozenge on the front below the screen. This allows the Pro to have smaller bezels. We’ve established that the Mate 10 Pro isn’t much more powerful than the Mate 10, so you’d be forgiven for thinking that the appended Pro means that it has a bigger screen. It does, but only by a fraction of an inch. The Mate 10 has a 5.9-inch screen compared to the Mate 10 Pro’s 6-inch screen, but there are some really important differences when we look closer. The Mate 10 Pro has a superior AMOLED screen with an 18:9 aspect ratio. Despite having a slightly larger screen it is narrower than its sibling, making it easier to hold. However, don’t write the Mate 10 off just yet, because its bright LCD sports a resolution of 2,560 x 1,440 pixels, giving it a pixel per inch (PPI) rating of 499. The Mate 10 Pro screen has a resolution of 2,160 x 1,080 pixels for a PPI of 402. AMOLED technology is generally better and we think that’s the case here, too, but it’s surprising that the Pro has a lower resolution. Both support HDR content. There is one other advantage for the Mate 10 Pro in the durability stakes and it’s an IP67 rating. Just like the iPhone 8, the Huawei Mate 10 Pro can take a dunk in up to 1.5 meters of water for up to 30 minutes and emerge none the worse for it. There’s nothing to divide these two here. The Huawei Mate 10 and Mate 10 Pro both pack big batteries rated at 4,000mAh. You’ll also enjoy fast charging capable of taking the battery from zero to more than 50 percent in just 30 minutes. Sadly, the glass backs don’t spell support for wireless charging, so you’ll be relying on that USB-C port. It’s a familiar story in the camera department. 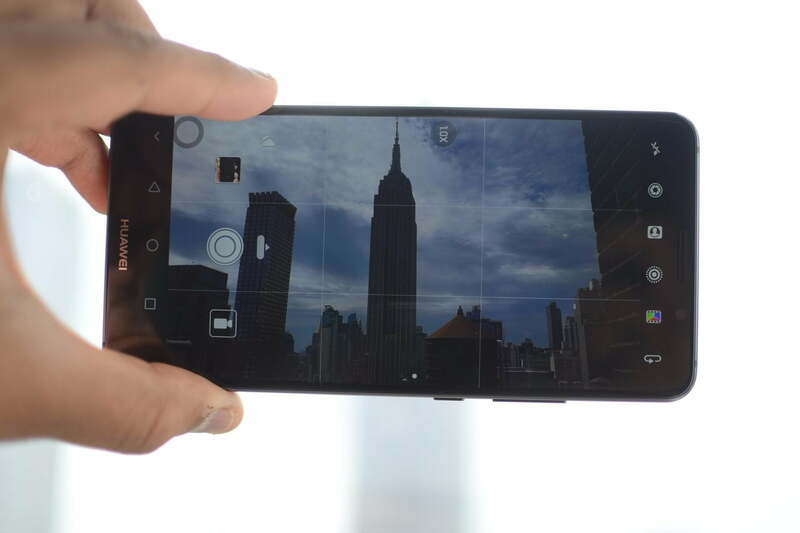 You’ll find the same 20-megapixel monochrome camera alongside a 12-megapixel RGB camera in both phones. They both have large f/1.6 apertures, which should provide great low light performance. There is a Portrait Mode offering a solid bokeh effect, which blurs the background, but only the RGB camera has optical image stabilization. Around front, you’ll find the same 8-megapixel camera on the Mate 10 and Mate 10 Pro, so this has to be a tie. We’re pleased to find that Huawei has employed the latest flavor of Android — version 8.0 Oreo — in the Mate 10 and Mate 10 Pro. Both also boast Huawei’s EMUI 8 on top. 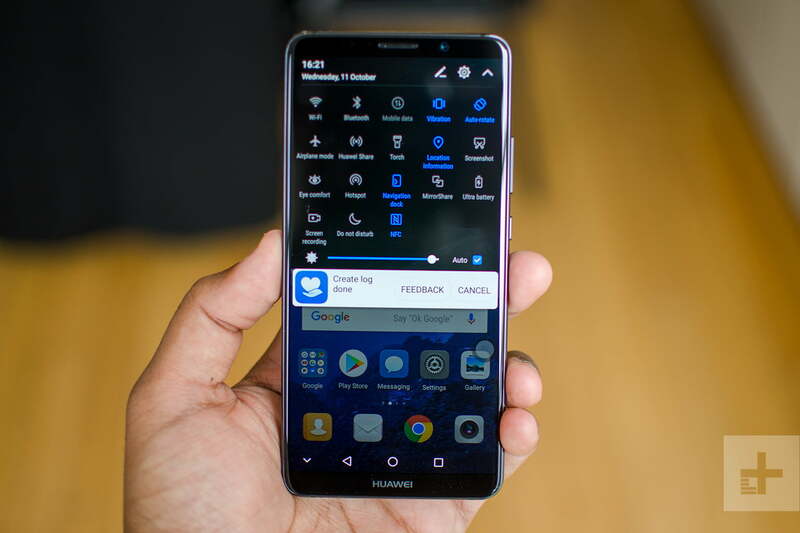 Huawei’s user interface may take some getting used to if you’re unfamiliar, but it has some handy tricks up its sleeve, including a floating navigation circle that can replace the standard Android navigation buttons. There’s even a desktop mode, allowing you to connect to a TV or monitor with a USB-C to HDMI cable, which is a good deal cheaper than Samsung’s DeX docking station. The Mate 10 Pro can show you multiple columns when you hold the phone in landscape mode, but that’s just about the only difference in software on these two phones. It’s a tie. The Huawei Mate 10 goes on sale towards the end of October and the Mate 10 Pro will follow in November. The Huawei Mate 10 will cost 700 euros, which is currently about $827. The Huawei Mate 10 Pro will cost 800 euros, which is currently about $945. But it’s not unusual for manufacturers to set a lower dollar price, so they may be closer to $700 and $800. The bad news is that Huawei hasn’t revealed the U.S. release plan, so we don’t know when or where the Mate 10 and Mate 10 Pro will be available in the United States, or precisely how much they’ll cost. We imagine you’ll be able to purchase them via the Huawei website and some other retailers — the Mate 9 is currently on sale at Best Buy and Amazon. U.S. carriers haven’t shown much interest in Huawei’s wares so far, but that could change. It looks like the Mate 10 is slightly better value, but we think the Mate 10 Pro is probably worth the extra money. We’re going to call this a tie for now. It’s natural to assume that the more expensive “Pro” version is going to be better and the Mate 10 Pro does win out over the Mate 10, but it’s a much closer contest than we expected. The processors, cameras, batteries, and software are identical. The Huawei Mate 10 Pro has a slightly better display and design, it’s more durable thanks to the IP67 water resistance, and there’s a model with more RAM and storage, but that’s all that separates these devices. We’re a bit puzzled at Huawei’s strategy here, but given the choice, even with the higher price tag, we’d opt for the Mate 10 Pro.